Find out if your Donald Trump autograph is real. Ask the experts. 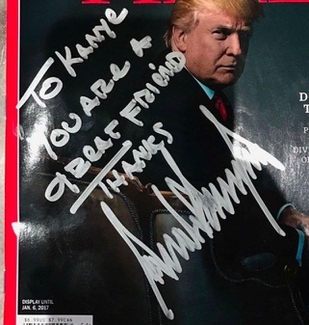 Verify the authenticity of Donald Trump autographs without spending a small fortune. Authentication for Donald Trump starts as low as $40.00 . We take pride in being both the best and the most affordable authentication service for Donald Trump . 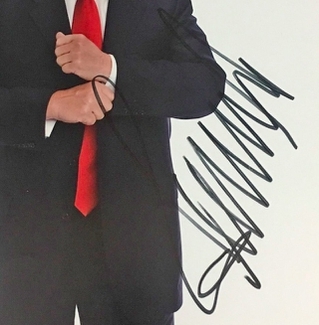 Upload your Donald Trump autograph. Have your item authenticated and potentially pre-certified by the experts at AutographCOA! 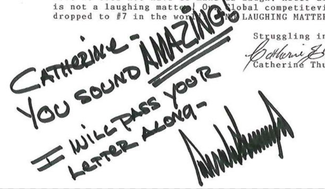 A selection of authentic examples of Donald Trump autographs from our master signature exemplar database for your reference. Our private celebrity signature database is the most accurate and extensive modern autograph exemplar pool in existence. Our team of experts use authentic samples like these to help authenticate your Donald Trump autographs, in combination with our proprietary signature analysis and comparison tools. Submit your Donald Trump autographs for a professional review by our team of signature experts.